Dang Kosal (24 years old) came to NFC at the age of 15 years in 2004 after surviving on the streets of Phnom Penh by shining shoes and selling newspapers while also taking care of his younger brother. Besides attending school at NFC he also worked at a cultural center and gained first knowledge about theatre production. After graduating from high school, Kosal left NFC and was sponsored as an intern at Khmer Mekong Films (KMF), a film and TV production company. He was quickly promoted from an intern to a paid employee because of his dedication, hard work and natural skills. 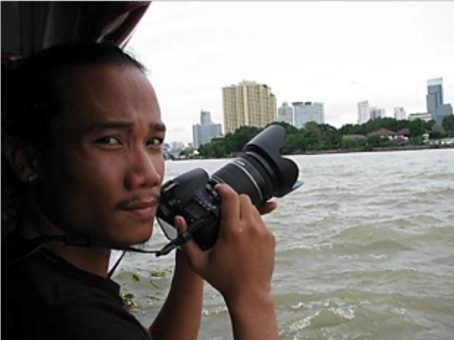 While at KMF he worked in the roles of cameraman, film editor, director, script writer and co-host of a Cambodian TV program. After 2 years at KMF he was hired by BBC Media Action as casting and location manager for the BBC program Loy9. Kosal also has an impressive record as a rap artist, writing and performing a large number of hip-hop songs making social statements about life in Cambodia.